We’d love your help. Let us know what’s wrong with this preview of Porsche 911 Red Book by Patrick Paternie. Porsche's 911, one of the most iconic sports cars in the world, is also one of the most sought-after collectible sports cars. Potential buyers, collectors, historians, and armchair enthusiasts crave all the details that, in sum, make up the 911's DNA. Porsche 911 Red Bo Take hold of the ultimate reference resource on one of the world's most loved and respected sports cars. 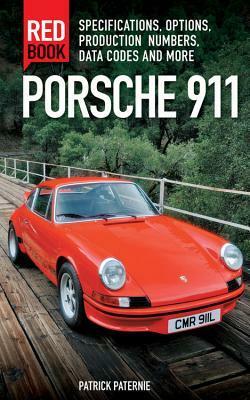 To ask other readers questions about Porsche 911 Red Book, please sign up. Data and prod numbers, goto reference for rarity evaluations.